A familiar look for Dr. Sam Bennett, this. 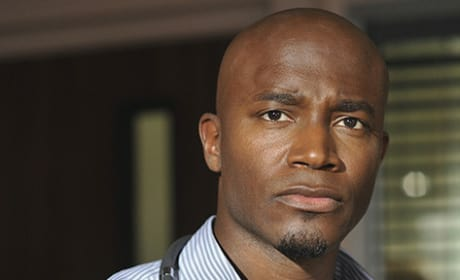 Taye Diggs plays the doctor in "Equal and Opposite," from Season 2 of Private Practice. Not the computer - a new receptionist! Will it work out for the best in "Equal and Opposite," from Season 2 of Private Practice? Charlotte and Cooper as a couple? In public? This development does not go smoothly in "Equal and Opposite," from Season 2 of Private Practice. There's a lot of talk in "Equal and Opposite," from Season 2 of Private Practice. And there's a lot of action to back it up. 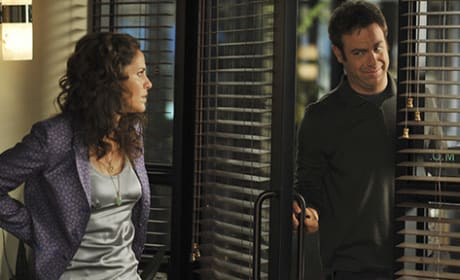 Cooper's weaving a delicate web and his friendship with Violet may be suffering in "Equal and Opposite," from Season 2 of Private Practice. Naomi enjoys a lighter moment in "Equal and Opposite," from Season 2 of Private Practice. Violet and Naomi talk things over in "Equal and Opposite," from Season 2 of Private Practice. Addison looks on as crises keep piling up in "Equal and Opposite," from Season 2 of Private Practice. In this photo from "Equal and Opposite," from Season 2 of Private Practice, Naomi worries about the fate of Oceanside. Don't we all. 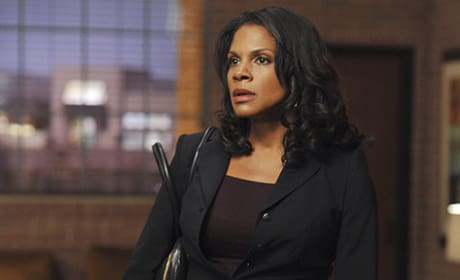 Naomi in "Equal and Opposite" from the second season of Private Practice.